Looking at the 2015 El Camino Real Derby; Casey’s Picks: The El Camino Real Derby may not be on most people’s radar as a legitimate Kentucky Derby prep race, however, it has produced winner of the 1985 Preakness Stakes, Tank’s Prospect. Also, in 1986, winner Snow Chief used the El Camino Real Derby to spring forward to win Florida Derby, Santa Anita Derby, and Preakness Stakes, which contributed to him winning the 1986 Eclipse for 3-Year-Old Champion. Other winners include Sea Cadet, Tabasco Cat (1994 Belmont winner), and Cavonnier (2nd in 1996 Kentucky Derby). This year, there are no true standout horses, really letting the public go to town on their research and who they think can win the 1-1/8 mile race, the first 1-1/8 mile race on the Road to the Kentucky Derby. Winner of the race will receive 10 points toward Louisville and the next three will earn 4, 2, and 1 point(s), respectively. 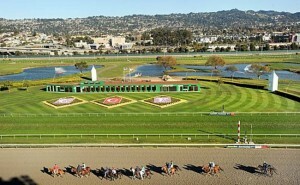 The El Camino Real Derby is run at Golden Gate Fields in Albany, California on February 14, 2015 at 3:35 PM. Donji (Big Brown – Skip Queen, by Skip Away) – This gelded son of Champion Big Brown is really being fed to the wolves, or so it seems. While the field here is not stellar, Donji has yet to break his maiden, which he has attempted seven times already. His pedigree states that he should be able to get the distance, however, he has not running lackluster performance in a maiden claiming here. He will be running against more experienced, in the art of winning, competition. Indianaughty (Indian Charlie – Be Fair, by Exchange Rate) – Son of the late Indian Charlie, this colt should easily be able to get the 9F test, but can he do it on synthetics instead of grass? Starting his career in South Africa before shipping to Lingfield outside of London, Indianaughty was brought to the United States and won his debut at Gulfstream going 8.5F on the turf. His pedigree suggests that he will do fine on the synthetics and even dirt. Metaboss (Street Boss – Spinning Yarns, by Free House) – Finally breaking his maiden last out at Santa Anita, the Street Boss colt did it seemingly easily while going 9F on the turf. Pedigree wise, there is no reason why he couldn’t win on synthetics or dirt. He has never run on any surface, competitively, other than the turf. Transition shouldn’t be horrible for the colt and I expect him to run nicely. Ernest Shackleton (IRE) (Duke of Marmalade (IRE) – Kiss My Tiara (IRE), by High Chaparral (IRE) – Ernest Shackleton began his career in Ireland, breaking his maiden in a handicap over there before shipping to Santa Anita for the Eddie Logan Stakes, which he finished 7th to Bolo. However, he is one for one this season, winning his three-year-old debut going one mile on the Santa Anita turf. His pedigree suggests he should have no problem with going 9F, but I am skeptical about him transitioning to synthetics and possibly dirt. Cross the Line (Line of David – Beer Baroness, by Mr. Greeley) – Cross the Line is based at Golden Gate, giving him home court advantage here. He has never been worse than fourth in four starts and comes into the race on a two race win streak, one being the California Derby, where fellow competitors Stand and Salute and Soul Driver. Pedigree wise, Cross the Line seems more geared toward the 7-8 furlong range. His sire was effective up to 9F but his damsire was a pure sprinter, and a very good one at that. I am not sure if he can make it three in a row here or not. Harmonic (Congrats – Cat Fight, by Storm Cat) – Son of Congrats, the colt should be able to get the 9F, especially since he has A.P. Indy has his paternal grandsire and the highly influential Storm Cat as his damsire. Just recently breaking his maiden at Golden Gate, the colt seems to like the synthetics and can close into a slow pace, as he exhibited last time out. I like his chances here, based on pedigree and his maiden score. Soul Driver (Street Boss – For Passion, by Not For Love) – Breaking his maiden on the turf, the colt seems to like the turf and synthetics better than he does dirt. He finished 11th in his debut, behind Punctuate. Since then, he broke his maiden going 9F on the turf before finishing second in the Eddie Logan and the California Derby. 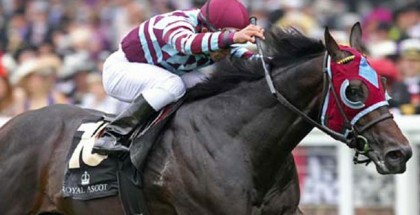 He also finished 5th in the Cecil B. DeMille Stakes behind fellow entrant, Conquest typhoon. I would like his a lot more on the turf, but he performed well last out, so maybe he can improve. Stand and Salute (Saint Anddan – Gotham City Girl, by Freud) – Stand and Salute broke his maiden at Golden Gate in his third start going one mile, which had been moved from the turf. Since then, the Saint Anddan colt won the Gold Rush Stakes on the all-weather and then finished third in the California Derby behind Soul Driver and Cross the Line. He has a seemingly less than stellar pedigree, but Saint Anddan is by A.P. Indy out of a Danzig Connection mare. Also, his damsire Freud is a full brother to champion sire Giant’s Causeway. The stamina is there. Conquest Typhoon (Stormy Atlantic – Swanky Bubbles, by Ascot Knight) – This Conquest colt looks to be the next from his recently rocking stable to make noise on the Kentucky Derby trail. Breaking his maiden in the G2 Summer Stakes at Woodbine in a very slow 1:41.10, the colt went on to finish second in the Grey Stakes (G3) and fourth in the G1 Breeders’ Cup Juvenile Turf behind Hootenanny, Luck of the Kitten, and Daddy D T, all good turf horses in their own right. Winning last time out in the Cecil B. DeMille Stakes, he looks to get a win on a surface other than turf. Mischief Clem (Papa Clem – Glitteringmischief, by Bold Badgett) – Bred to get the distance, Mischief Clem may be the favorite by post time. 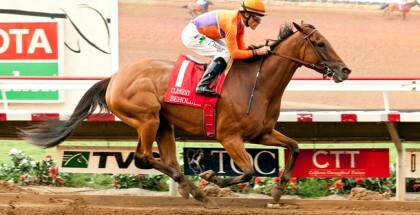 Last out in the California Cup Derby, he defeated previously undefeated Acceptance. Now coming into the race with three wins in six starts with never finishing worse than fourth, he should easily be able to run here since he already has a win on a synthetic track. I personally find his pedigree fascinating and think he may be the class of the field so far, even over multiple graded stakes winner Conquest Typhoon. Casey’s Opinions: While Conquest Typhoon is a multiple graded stakes winner; I personally see his chances decreasing some due to the switch back to all-weather. He is bred for turf and is a dominant force on the surface. I think Mischief Clem is bred for both the 1-1/8 mile distance and has very good experience against competitive horses on dirt and synthetics. Cross the Line has home court advantage and is obviously talents, but I am not sold on him as 9F horse since his distaff line lacks some of the stamina I’d like to see at this distance. If he can get a good trip and everything goes well, he should be able to hang on to hit the board. Harmonic has experience at Golden Gate, finally breaking his maiden last out; I think he can improve here. I like his pedigree for this distance and it is a good mix for a colt to be able to be precocious yet takes their time to full mature. 10 Mischief Clem 9-2 Desormeaux/Hess, Jr.